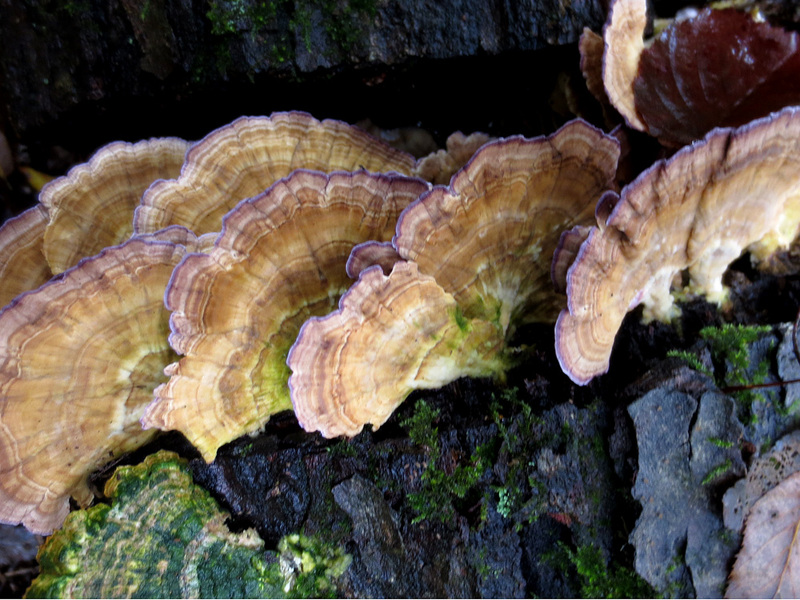 Turkey tail is a polypore mushroom that grows on dead and fallen trees. 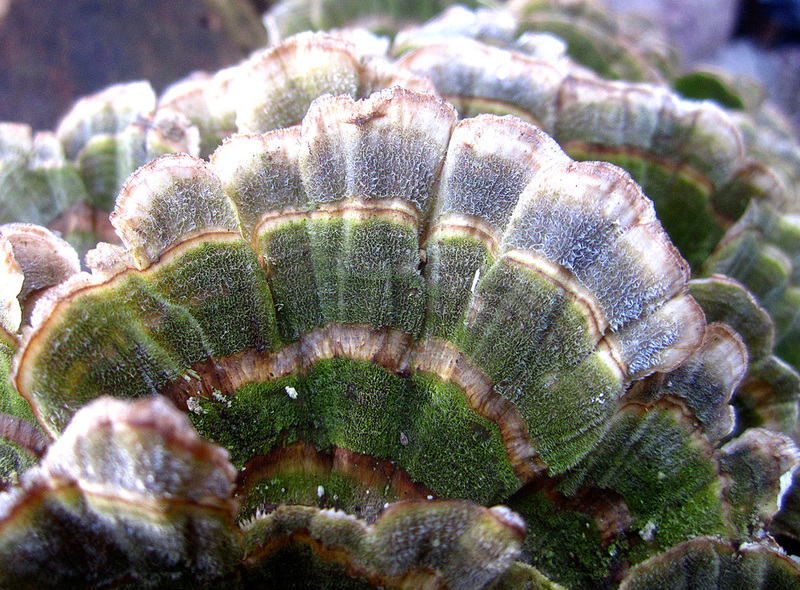 It’s botanical name, Trametes versicolor describes its tendency to grow in a variety of colors. 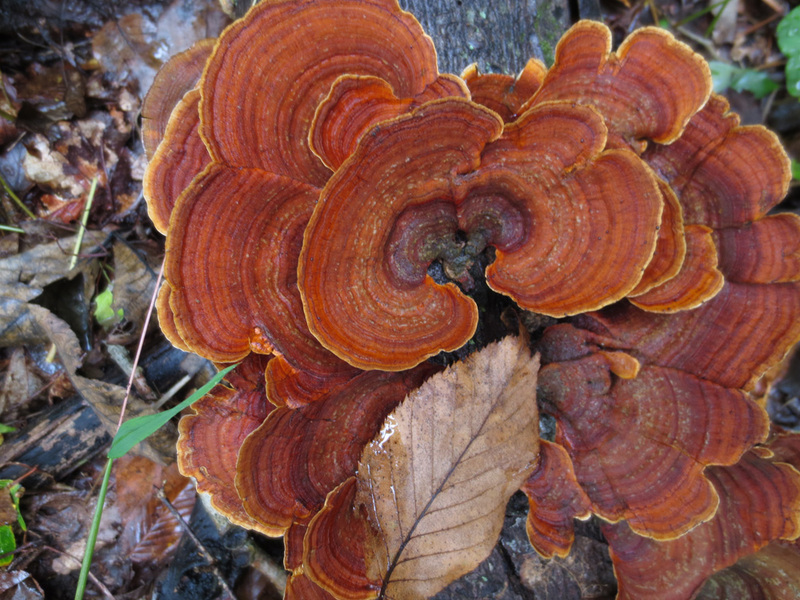 Its shape, along with the colors and patterns resemble the tail of a turkey, hence its common sobriquet. 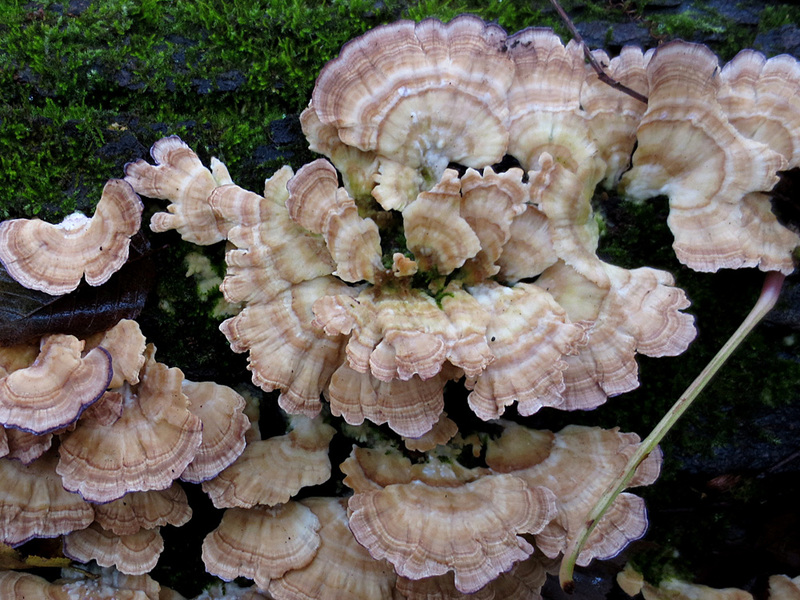 This common fungus is greatly prized in Chinese medicine for its anti-cancer properties. The active component, polysaccharide K is used as a cancer treatment in conjunction with other therapies to help fortify the immune system and to stop the growth of tumors. 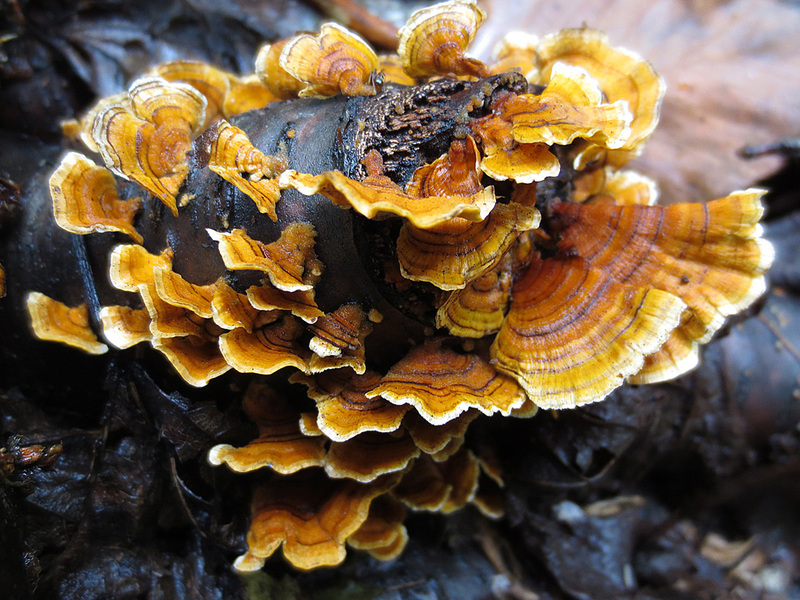 It is too tough to eat, but its properties can be extracted with infusions and tinctures. 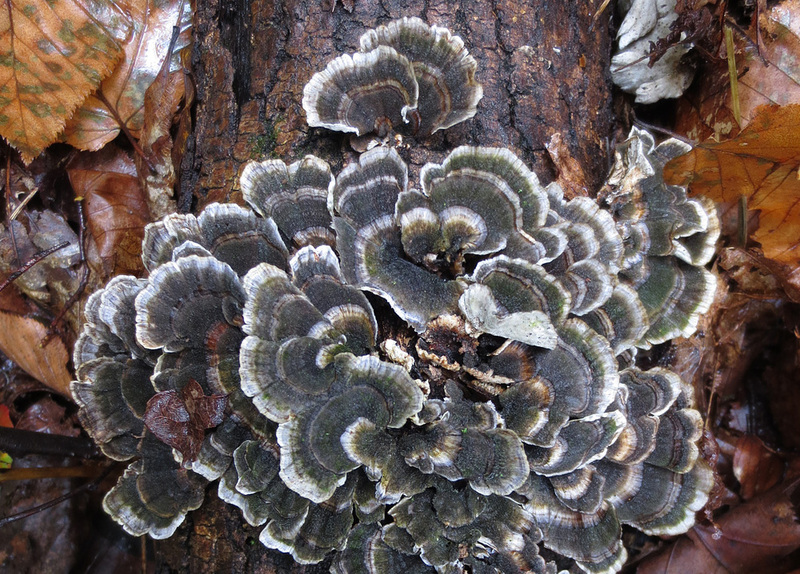 Whenever I’m in the woods I look for Trametes. 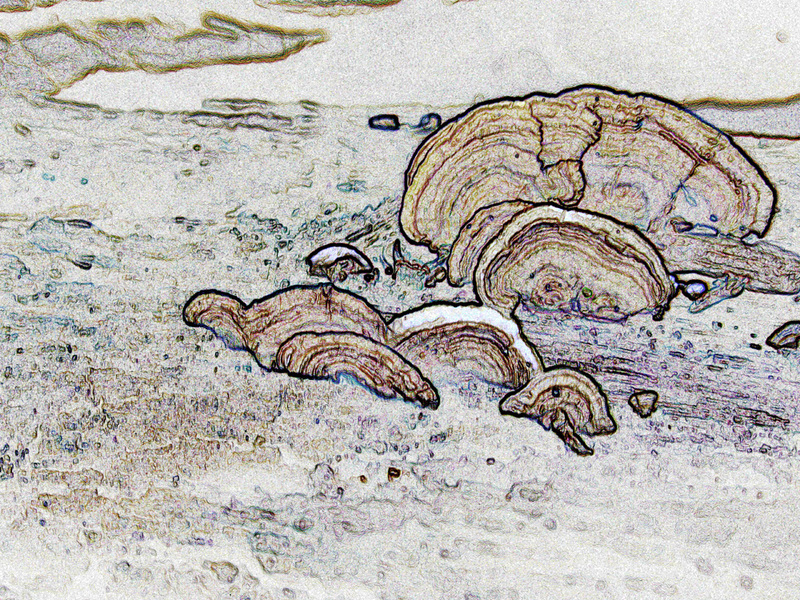 A nice thing is that they can be found year round, often times when other mushrooms are hard to find. 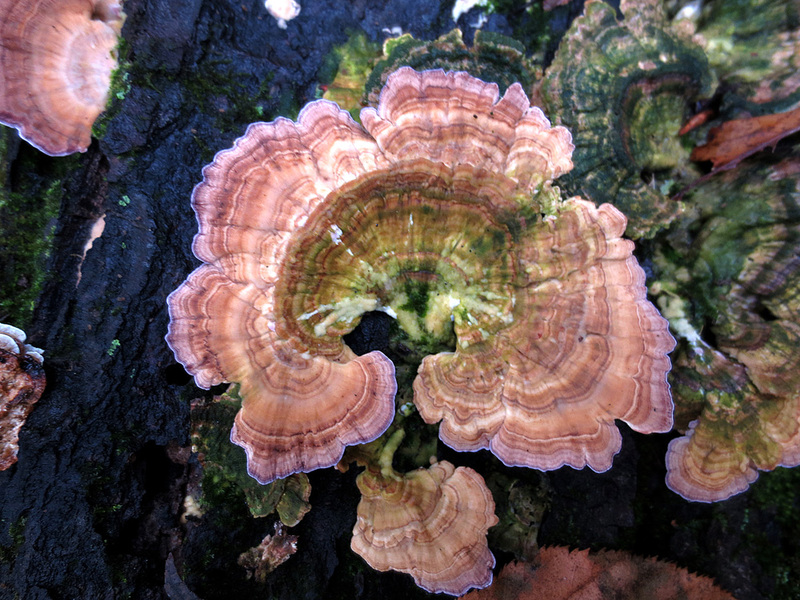 When I find them, I’ll usually stop to photograph them. 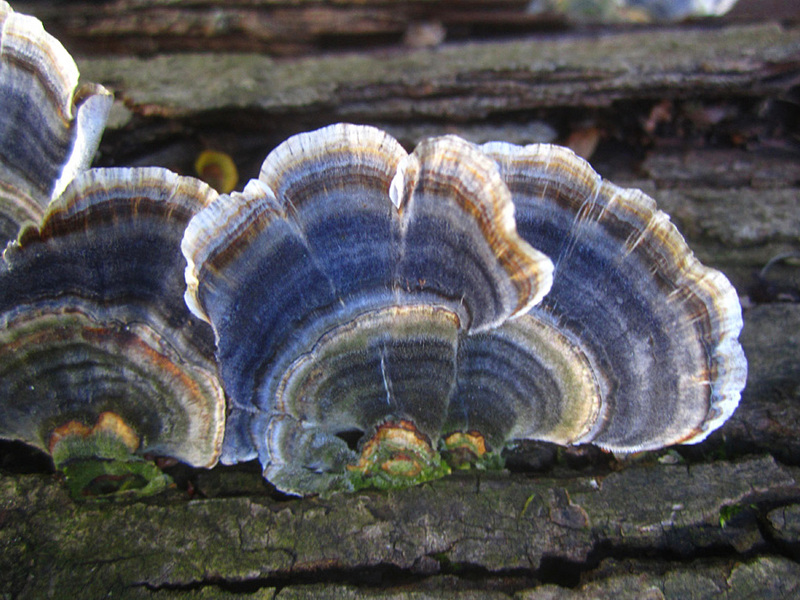 They come in such a variety of shapes, colors and patterns that there is always something of interest to capture. 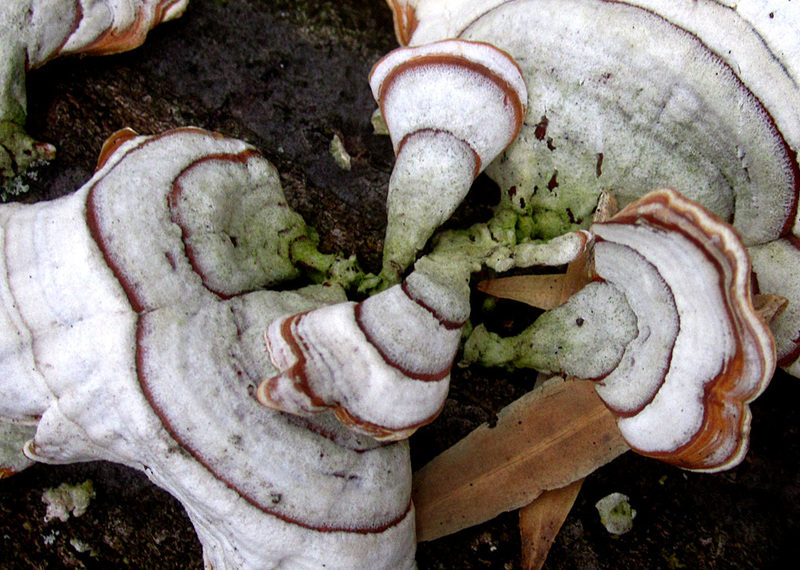 As a result, I have accumulated many shots of these fascinating polypores. Here are a few of my favorite studies.